9. Keep a written record of what you do! Wouldn’t it be a pity if you couldn’t recreate that perfect concoction you made last week, simply because you forgot how you did it? Last year I made a vegetable soup to which I added garam masala and pepper. I was cooking ad lib, adding a little of this and that without taking notes… Which is annoying, because it turned out very nice! It had a remarkable aftertaste which gave me a somewhat dry feeling on the back of the tongue and it reminded me of mangoes. Even immediately after the meal I wasn’t able to recall all the ingredients. As an undergraduate student I took an organic chemistry lab course, and I remember we were told not to use post it notes or small pieces of paper for taking notes. Everything should be recorded in a proper journal or – if necessary – small note books. Having finished my Ph.D. a couple of years later, I can only testify to this. Everything you do – be it in the lab or in the kitchen – should be recorded immediately in a journal. It’s amazing how something that was obvious one day, slips your mind a week or month later. 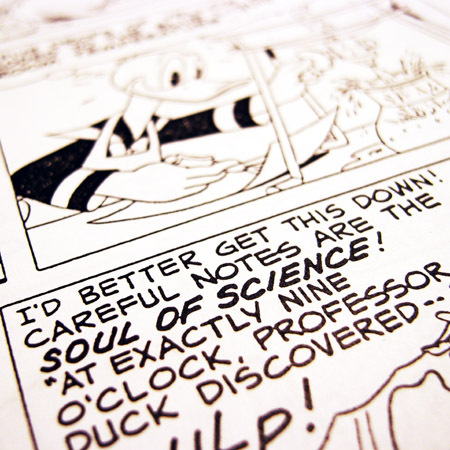 There is a wonderful Donald Duck story by Volker Reiche entitled “The soul of science” (the original appeared in 1981 in the Dutch Donald Duck magazine). At a point “Professor Duck”, who actually works as a janitor in a lab, utters the words “Careful notes are the soul of science” as he is caught experimenting. This is true also for the kitchen and experimental cooking. A German translation of the story was reprinted in the article “Das Leiden des cand. chem. Donald Duck” (open access) in case you want to read the whole story. 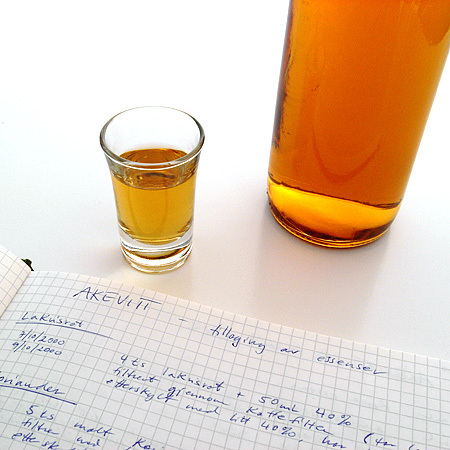 Careful notes are also the soul of kitchen science! When taking notes it’s essential that you are able to re-cook the dish yourself. But if no one else is, the notes are of limited value. The biggest source of uncertainty in the kitchen is the widespread use of volume for measuring powders. This can best be illustrated by the question: How much does a cup of flour weigh? I bumped into this when I began baking no-knead bread (recipe). I converted the recipe to metric units using an online calculator, but the no-knead bread wasn’t a huge success. 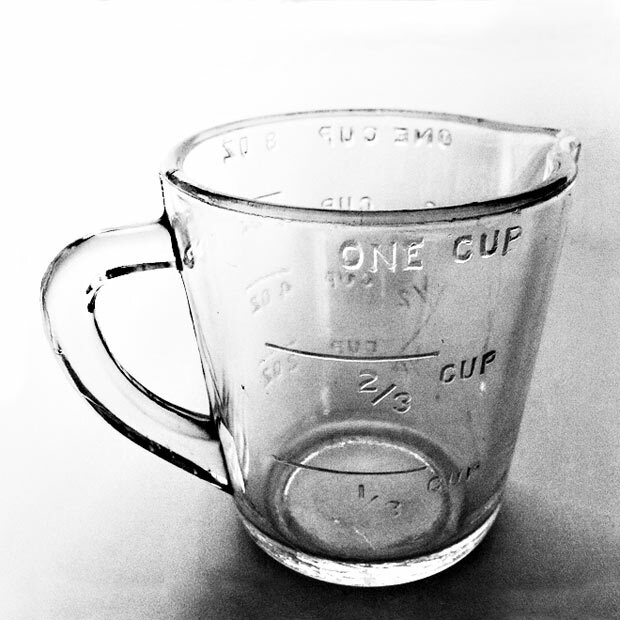 The problem was that there is no simple answer to the question “How much does a cup of flour weigh?”. Cooking conversion online states that a cup of all-purpose flour weighs 99 g. King Arthur Mills claim that all their flours weigh 113 g/cup. USDA states 125 g/cup and Gold Medal 130 g/cup. Some cookbooks have settled at 140 g/cup (apparently because this is about half way between a loosely and densly packed cup) and if the flour is hard packed you can reach 160 g/cup. In other words – when following a recipe you would need to know how the volume of flour was measured in order to use exactly the same amount of flour. Some recipes call for “spoon and level” or “scoop and level”, but many do not include any information about this. My recommendation is to weigh all dry ingredients (and preferably also the wet ingredients). A normal digital kitchen scale typically has a resolution of 1 g with an accuracy of +/- 5 g and they are quite affordable. Weighing liquids is also far more accurate than the average volume measurement in the kitchen. If the scale has a “tara” function it’s also much faster as you can zero the display after each ingredient you add. It shouldn’t come as a surprise that I’m not the only chemist advocating weight measurements in kitchen. And it’s not difficult finding other sites in favor of weight measurements either. The only exception to the general advice on weighing ingredients is when very small quantities are used. This could be spices, food coloring or hydrocolloids. With normal kitchen scales, you’ll be better of using volume measurements for amounts less than 5 g (equal to a teaspoon if measuring water). Otherweise it’s worthwhile mentioning that scales with a 0.1 g and 0.01 g readout are getting cheaper and cheaper. There is a summary of the “10 tips for practical molecular gastronomy” posts. The collection of books (favorite, molecular gastronomy, aroma/taste, reference/technique, food chemistry) and links (people/chefs/blogs, webresources, institutions, articles and audio/video) at khymos.org might also be of interest.